The Newtonians have always been the best-selling reflecting telescopes since they offer large diameter at a really low price. 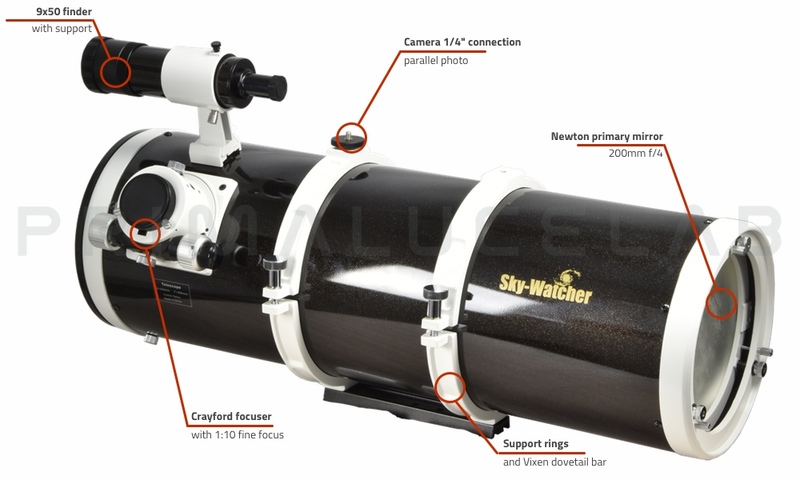 This Newton Wide Photo 200/800 f4 by SkyWatcher is a 200mm diameter and 800mm focal length telescope great for astrophotography, thanks to the fast f/4 focal ratio and to the compatibility with the very good f/4 optional coma corrector. 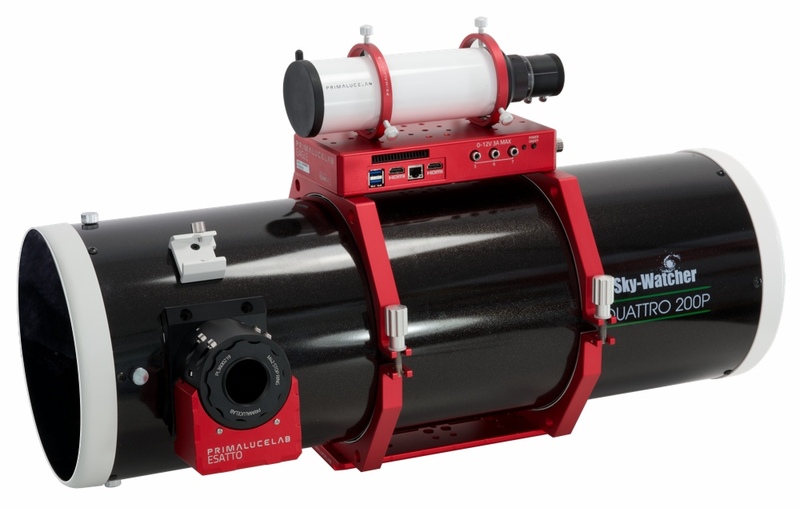 This instrument is very bright and allows you to record the weakest details of deep-sky objects but it can also be used for visual application, especially for observation of galaxies, nebulae and star clusters. 3 years of warranty! The Newton Wide Photo are the great telescopes for observing or photographing faint objects, at very low cost. 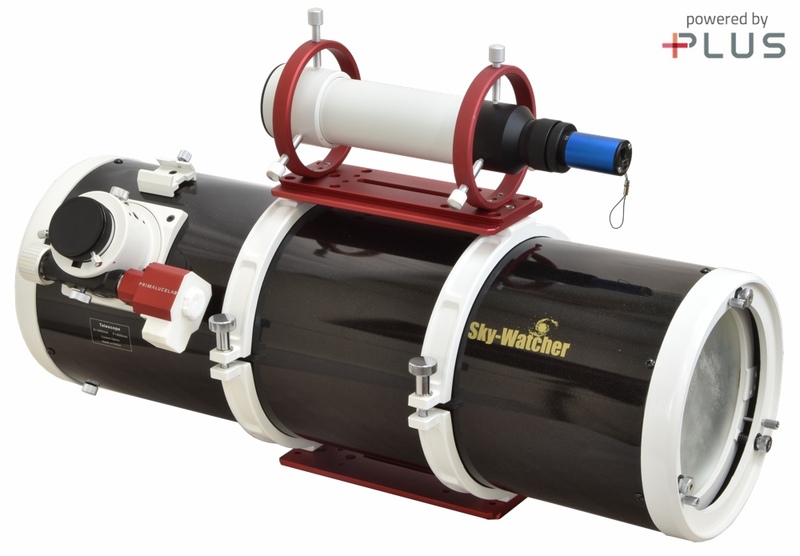 Designed for deep-sky photography, it's very well suited also for deep-sky and planetary observations. Lightweight and compact, we suggest a EQ5 or type mount while for photographic use we suggest at least an HEQ5 type mount. A lot of attention is given at the detail. The aluminum intubation internally opaque ensures better contrast and avoids any reflections. The primary cell with 9 points provides a solid support and an easier and more precise collimation. Together with the dove-tail type Vixen bar are provided the support rings, that guarantee a remarkable stability to the optical tube. 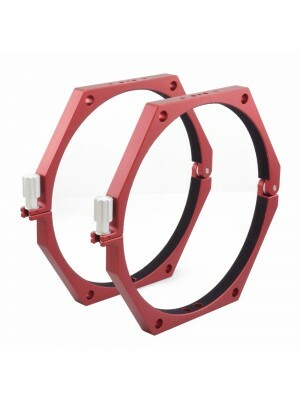 They are also useful for connecting other instruments along with Newton, for example if you need to mount a guide scope. Spiders of the secondary mirror are very thin and rigid, an advantage both esthetically and mechanically. The Crayford focuser comes with a micrometric reduction 1:10 and 50,8 mm accessories connection. The Newton Wide Photo is the ideal telescope for those who want to approach themselves to astrophotography. 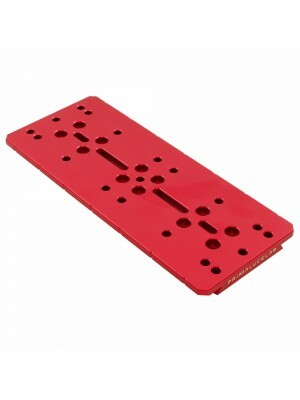 Thanks to the reducer supplied as standard, can be installed 50.8 mm diameter accessories and 31.8 mm. The 9x50 finder comes with its support, its 50mm aperture provides a wide field of view. The low-expansion mirrors ensure more rapid acclimatization and a reduces thermal expansion. 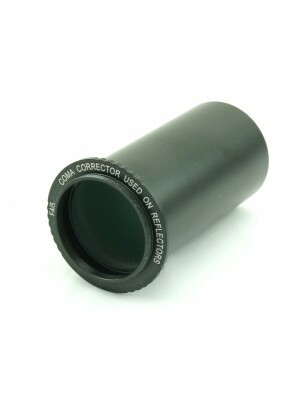 For photographic use we recommend the use of a coma corrector, to correct small defects natives of optical design. Need more? The SkyWatcher Newton Wide Photo 200/800 f8 telescope can be enhanced with our complete line of accessories for astrophotography: in the picture above, with the 240mm PLUS Losmandy dovetail bar (one above and one under the telescope support rings), PLUS 115mm guide rings with 60mm CompactGuide scope, SestoSenso electronic focuser controller.